On behalf of the Independence Local Schools and the City of Independence, I would like to thank you for choosing our city and our school district. Independence Local Schools prides ourselves on a rigorous curriculum, extracurricular options, and the personal connections between our staff and your family that are only possible in a small district. Below, please find information that will help you navigate registering your child, or children for Kindergarten. 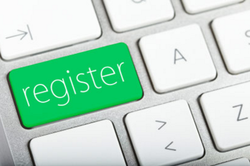 Our registration system consists of specific paper forms which must be collected at the time of registration, and our online forms system which allow you to complete yearly forms on an easy-to-use digital interface. If you have any questions about the Kindergarten registration process, please contact our Primary School Secretary, Diane Brown at (216) 642-5870. Create a new account via Independence Local School's OneView Portal by clicking the button to the right. Already have a child enrolled in Independence Schools? -Sign into your OneView Account and choose "Enroll New Student(s)". ​Please call Jen Mosgo at 216.642.5870 (ext. 1443) between 8am-2:30pm to schedule your registration appointment. This site is maintained by Michael Pennington, Director of Technology for Independence Local Schools. The thoughts and opinions expressed on this site DO NOT always reflect the thoughts and opinions of Independence Schools. All items contained on this website are intellectual property of their creator; whether it be celebrity, student, or myself. Reproduction is prohibited without expressed written consent. REMIX is welcomed, appreciated, and anticipated.